I don’t know about you guys but after the craziness of Christmas, New Years, and Valentine’s Day, I’m pretty tapped out, creatively speaking, when it comes to St. Patrick’s Day. 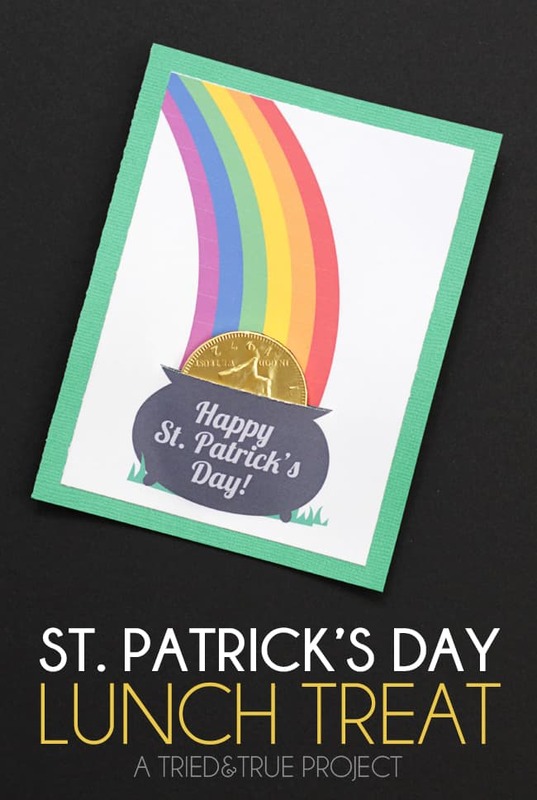 Which is kinda a bummer since my husband’s ancestors come from Ireland and St. Patrick’s Day is always a great opportunity to talk about heritage and immigration with our children. 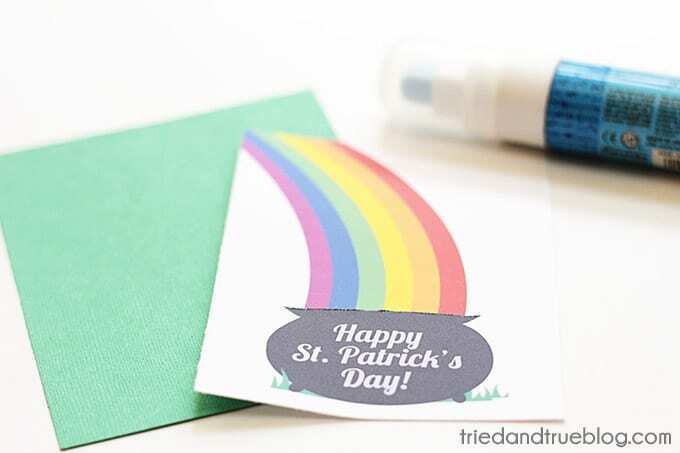 That’s why I made these super quick and easy St. Patrick’s Day Candy Gift Cards that I’ll be including in my kids’ lunch boxes on the big day. My kids love that we’re celebrating a holiday that’s near and dear to them and I love that it only took a couple minutes to make. Talk about a win/win for everyone! 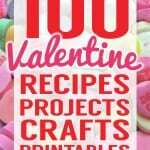 Download the “St. Patrick’s Day Candy Gift Card” here! 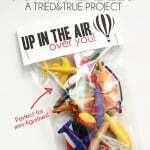 This project is so crazy easy that you don’t really need any help assembling it. 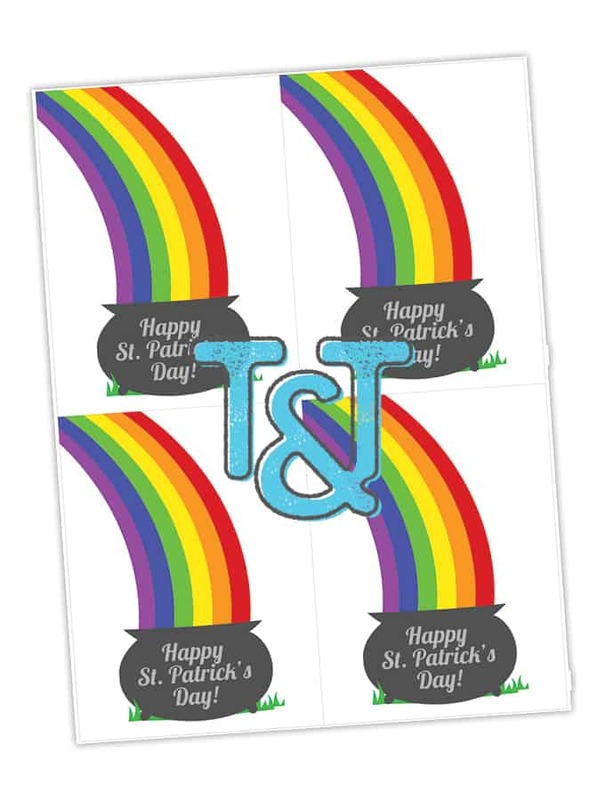 To begin, just print out the free St. Patrick’s Day Candy Gift Card and trim around the edges. There are four card to a sheet. 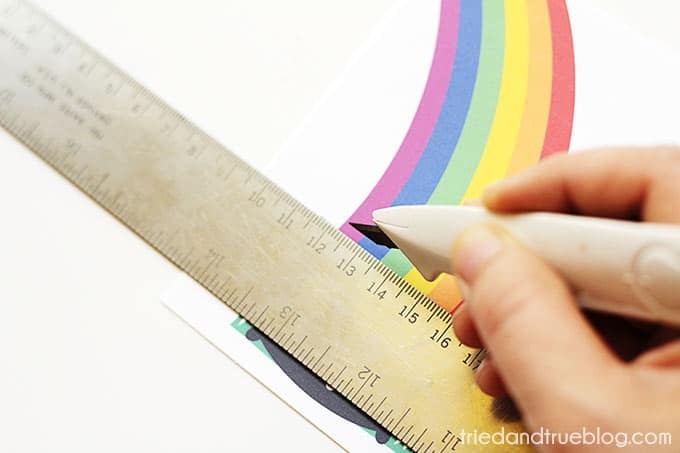 Use a metal ruler and a carefully-handled craft knife to add an incision along the top section of the kettle. Make sure to go all the way to the edges so that the chocolate coin fits! 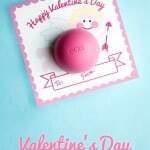 Use a glue stick (totally love my Jumbo ZIG Glue Pen!) to attach the printed card to a 4.25″ x 5.5″ piece of green cardstock. 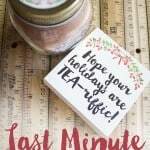 Make sure you don’t get any glue near the kettle opening or else you won’t be able to insert the gold! Once the glue had dried completely, just insert a chocolate gold coin (I found some at the dollar store but here’s some on Amazon too!) into the “kettle” and slip inside of your kid’s lunch for a super fun surprise! Of course, since these are so easy (and inexpensive) to make you could assembly line a ton of them for co-workers, students, or even neighbors. 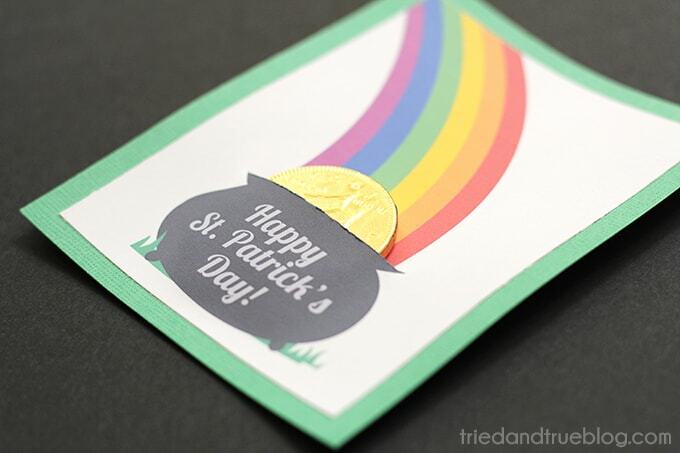 Who wouldn’t love to receive a sweet little gift from their favorite leprechaun!